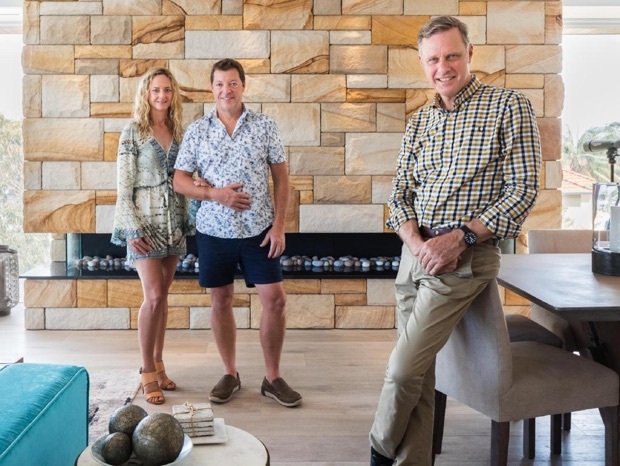 DBLS was featured in the most recent season (Series 7, episode 1) of the ever popular Grand Designs series, showcasing Brendan and Penny Moore’s North Bondi home. This was a difficult project, due to the challenges of the steep and high site itself as well as the multiple changes that occurred in the building process, however the end result speaks for itself. 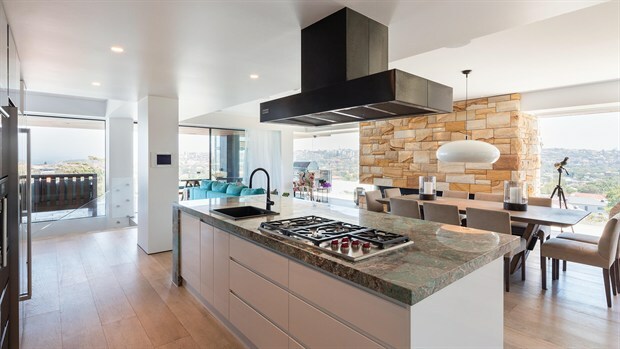 Drew’s beautiful sandstone is found throughout this landmark property that boasts a wine cellar, infinity pool and glass staircase and glass lift among other custom designed highlights. 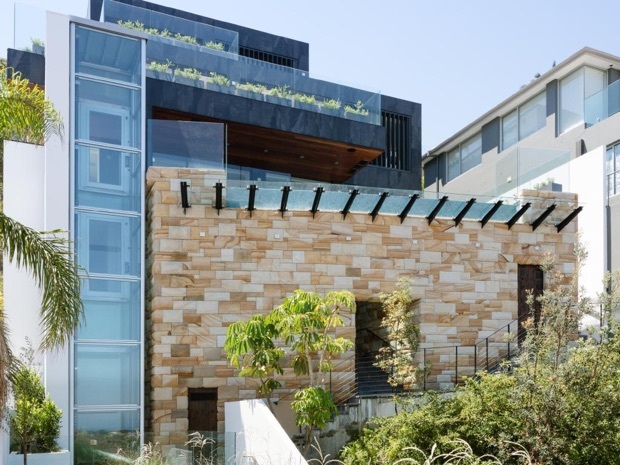 Of particular note is the front door entry area that is surrounded by sandstone and which contains a large window with an underwater view of the pool from below.